The world’s fastest supersaloons will line-up at this year’s Concours of Elegance as part of a new ‘Harry’s Garage’ feature celebrating iconic performance four-door cars throughout the years. Curated by founder of the Harry’s Garage YouTube channel and evo Magazine, Harry Metcalfe, the collection includes the Jaguar XE SV PROJECT 8, Aston Martin Rapide AMR, Lotus Carlton and Mercedes AMG Hammer. 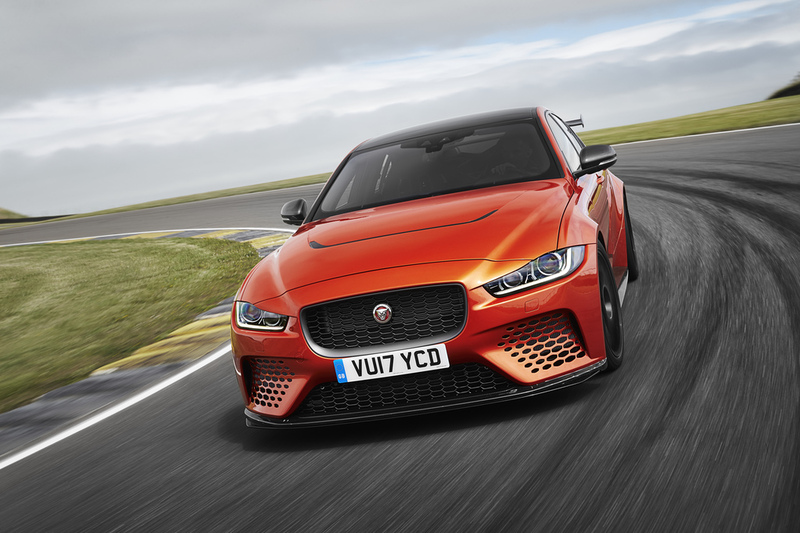 Leading the charge, the XE SV PROJECT 8 is a 600PS supersaloon created from the standard XE, then imbued with the power of a 5.0-litre supercharged V8, honed with aggressive race-ready aerodynamics and shed of all unnecessary weight. The result is one of the quickest and most exciting performance cars ever, capable of 200mph. Visitors to the Concours of Elegance can also see the Aston Martin Rapide AMR, one of the first of a new breed of even more focused Aston Martin models. The standard car’s 6.0-litre V12 remains, but power has increased from 552bhp to 592bhp, and handling has been carefully tweaked to evolve the Rapide from GT cruiser into race-inspired four-door. Looking further back, the Harry’s Garage feature will take in icons of the supersaloon breed, such as the incredibly rare Mercedes AMG Hammer; the first saloon car ever to hit 186mph. The right-hand-drive example on display is just one-of-two built and was used by Mercedes-Benz UK for media evaluations upon launch. Although Ferrari has never produced a four-door car, you can get something similar in the form of the Lancia Thema 8.32, also showcased at the Concours. The 2.9-litre V8 unit that powers this particular front-wheel-drive Italian four-door was based heavily on the engine found in the Ferrari 308 and Mondial, allowing the Thema 8.32 to sprint from 0-60mph in around 6.8 seconds. Completing the lineup of icon supersaloons is the 6.9-litre Mercedes 450SEL, the third generation Maserati Quattroporte and the V10-powered BMW M5 – a recent example of perhaps the most iconic supersaloon of them all. The Harry’s Garage feature is just one part of the biggest and best Concours of Elegance yet, which will also include a gathering of Future Classics, spearheaded by the Rolls-Royce Sweptail. Guests can see a celebration of the Aston Martin DB4, including an example of every variant produced, from Series 1 to Series 4 and Zagato to Bertone Jet. As ever, though, the Concours of Elegance maintains a collection of around sixty of the finest cars ever created at its heart. Making up the ‘Main Concours’, these cars are the ultimate automotive masterpieces, telling the story of the car from beginning to end. Guests can see everything from the 1903 Panhard et Levassor 15hp, through the totally unique Jaguar XK120 Pininfarina and right up to the Mercedes CLK LM endurance racer.